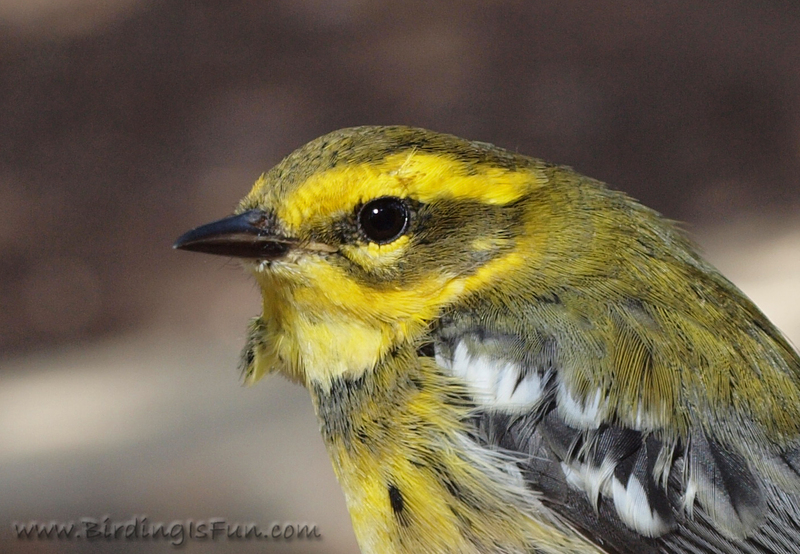 Want to subscribe to Birder's World? Click here. Special thanks to Daniel Huber for being my first guest. I first became interested in birding in 2007 on a vacation to Acadia National Park in Maine, when I saw Sibley’s Guide to Birds , and bought it to peruse during the week. My interest in nature felt heavily piqued by the book, that I read cover to cover that day. I then went out the next day to go “birding”. My first official bird that I consider my spark was a Pileated Woodpecker. I am often always birding, whether checking trees/lamp posts on road sides, birds at my home feeders, or out the office window. I try to get in at least a 30 minute session on a hike or sit in my favorite spots 1-3x/week. I live in CT and have a few local spots that I consider my favorites as well. I often stop for a five minute spotting before work at Belden Preserve in Vernon, and also regularly go to Valley Falls Park in Vernon and Bolton Notch Park in Bolton. 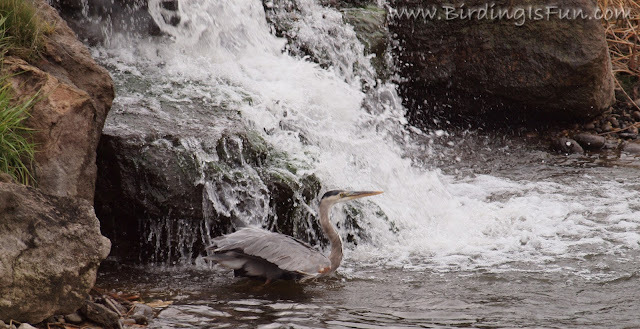 Where is your favorite place to bird in Connecticut? In the U.S.? in the world? Along with the above locations, Case Mountain Park in Manchester, CT and Northwest Park in Windsor CT are wonderful spots with several different habitats. Station 43 is famous for being a wonderful spot and I go there as well, although less often, as it is not really a hiking spot, and I like to get at least a little exercise as well. 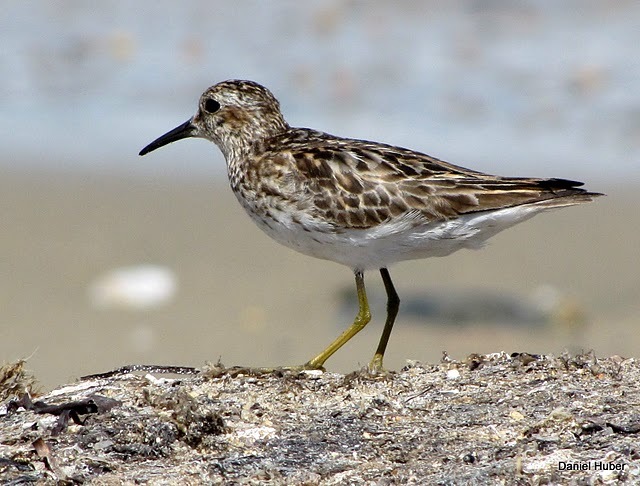 I also have a large interest in shorebirds, and enjoy Hammonasset Park and Milford Point on the southern shore of CT. I have been to Plum Island, MA several times and it is a favorite, but far, spots off of Cape Cod are also great spots but far, and Jamaica Bay in Queens NY a superb spot I have been to once. Brigantine in NJ was a wonderous spot for birding I have been to once and may not frequent again due to a severe reaction to the Green-Head flies that got me (hundreds). My wife and I went to Puerto Rico specifically to bird the rainforest in El Yunque, our first birding vacation, and we had an amazing time with 30 life birds seen there. Of the above, Bolton Notch may be less known, and I run into very few birders there. It has a pond, scrub shrubs, and frue forest, and I get to see a great variety year round here. This is a difficult question I have been back and forth on over the last year. I tend to get heavily into my interests, and with now over 40 books on birds or birding, I think I am more than a watcher. When time permits, I peruse the message boards and use Birdseye on a iPod to check for local sightings. 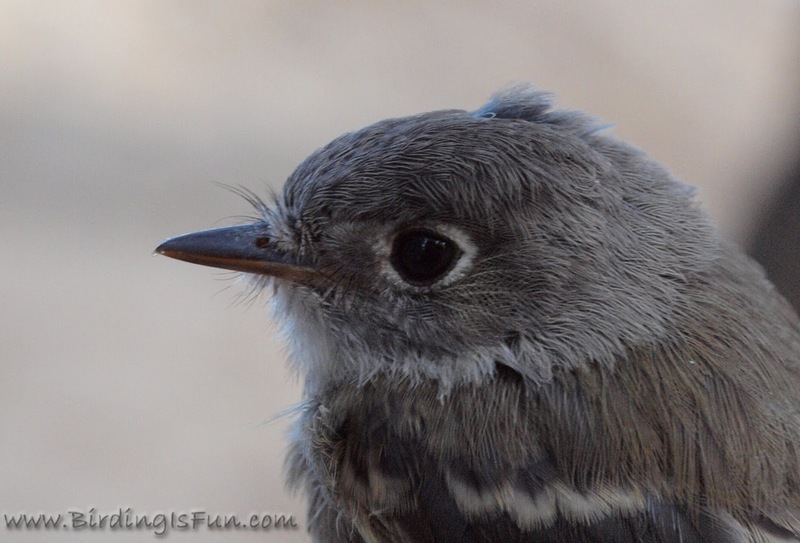 I have chased several birds, but have not chased some recently due to time/work/kids. Last year I listed all of my sighting kept obsessively in a small journal in my pocket that went with me at all times. I would then enter them in eBird online. I enjoyed counting and tracking, but with little time, started to enjoy this less, and now track my birding outings only. I have a pair of Nikon binoculars 8x40. These do the job and I figure without a significant cost, I won’t get much better. I have a Barska spotting scope, the real inexpensive model with 20-60x and horizontal eyepiece. It fit in my budget and I have to say it comes in very handy and I really enjoy it. My camera is the Canon powershot SX20 digital, my most expensive piece of equipment. Photography is a seperate joy of mine. I carry all but the scope in a shoulder bag along with a pocket field guide, spare hat/gloves in case of cold. The scope and mudwaders I keep in the trunk. I read and track over 100 blogs on birding and nature as my main source of reading, many by Audubon societies, along with the ABA and Audubon magazines, Wildbird, and others I buy when buying birdseed at my local Agway. Websites I frequent other than the blogs I follow (listed on my blog) are Cornell Ornithology and CT Ornithological Association which has a message board for sightings in CT and links to others. This is a tough question. I am biased towards Sibley ’s guide as it was the one that started this all, but Peterson’s , Kaufman ’s both have advantages., and I also will use the National Geographic for ID help or variations. I like Sibley’s as the sketches have good highlights of the markings, in flight, perched and other positions that help a lot. I have a few shorebird guides as well and several more in depth books. I have to say the iPhone version of Sibley's and iBird Explorer are also main guides I use and find their birdsongs very helpful in the field. It is tough to pick just three. Sibley’s Field Guide , Pete Dunne’s Essential Field Guide Companion and All Things Reconsidered by Roger Tory Peterson (edited by Bill Thomspson III) would be the three I would take if I could have no others. I really consider myself a beginner, but I have looked through field guides a lot, so I feel semi-qualified at an educated guess on some of the shorebirds and many of the passerines. I have limited experience with and am just learning raptors. My plans are to be able to watch and learn about as many birds as I can, and using sketching, photography and time watching I am trying to research different groups of birds and write about them on my blog to help me learn. I am a lurking member of National Audubon and ABA. Due to time constraints I have yet to join any local organizations, but will go on walks by them. I don’t really have one as my life list is still fairly small (243) and consider any bird I have not seen well a reason to see it again and again. I am married to a wonderful and tolerant woman, who recognizes my need to bond with nature at times, and thankfully shares my joy of nature and birds, without the obsession. I have two wonderful children as well, who think birds and nature are great. I was in a hurry and saw a swan in a local pond. I took some quick pictures of a very cooperative Tundra Swan. Looking at the photos later that day, I saw why it was so cooperative, it was a decoy. Nothing to brag about, but I do enjoy my blog where I show my sketches and photos of birds, and nature. To learn as much as I can. 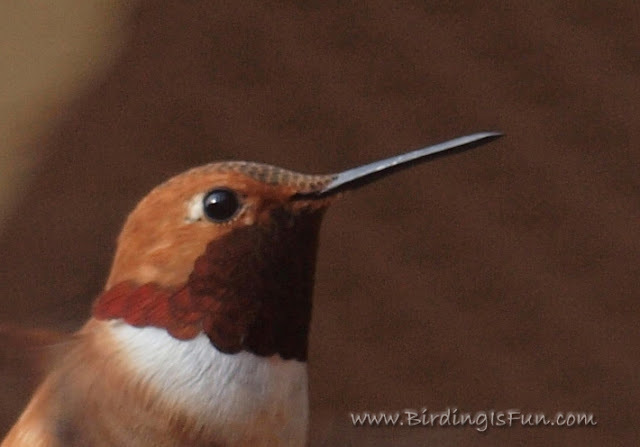 ...you are helping another birder find life birds! Finally! 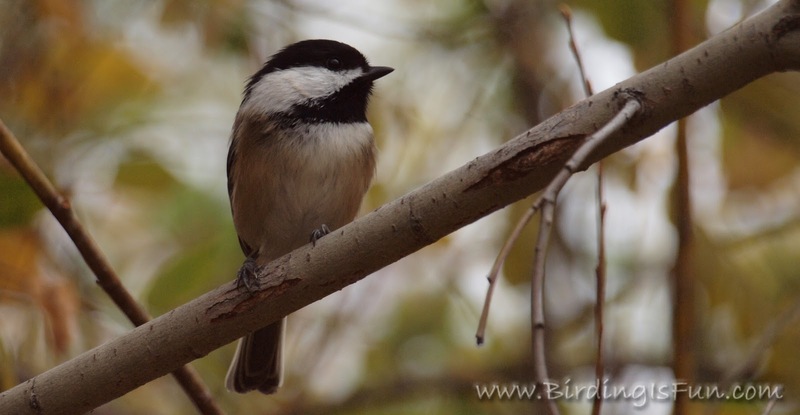 a Black-capped Chickadee photo I am happy with. ﻿﻿My friend Jason, in Idaho, has been getting back into birding this year after a couple decades off. We've been Boy Scout leaders together this last year so our campouts have included a little element of birding. I have been a bad birding influence on him, like a drug dealer. 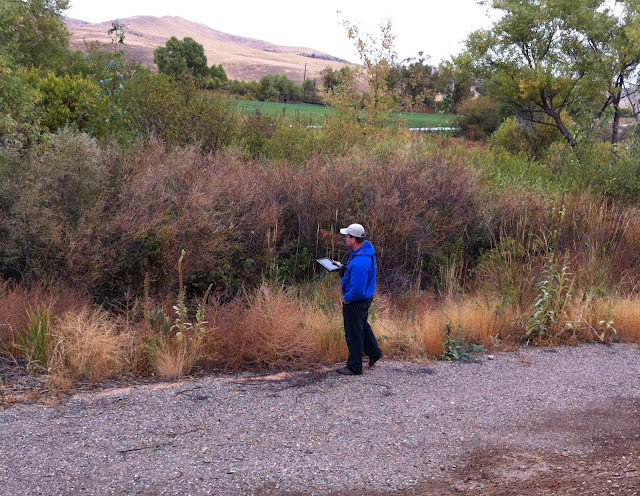 Being home in the Boise area this weekend, Jason and I determined to get out and do a little birding together. The target bird was a Hooded Merganser, the male being one of the most showy and beautiful wintering waterfowl in this area and one that Jason has never seen before. I was happy to see a recent report of a Hoody on eBird in a nearby pond, so I felt our chances were good. Jason and I set out with a couple hours planned for a whirlwind tour of about two dozen Eagle, Idaho area ponds near the Boise River. "I really want to see a Brown Creeper too," Jason tells me while hiking down a leaf strewn yellow trail. "All right. 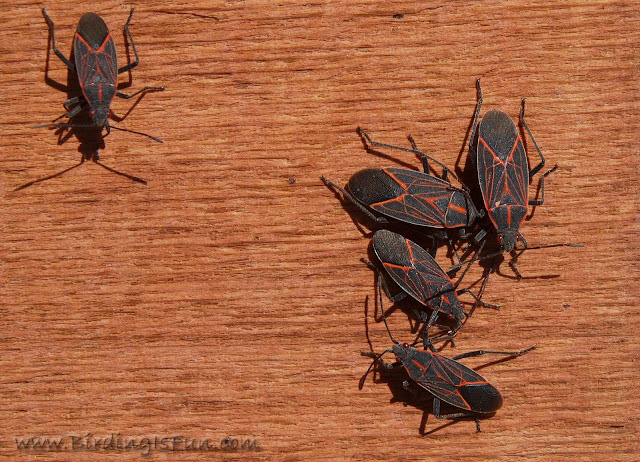 I've seen them in this area before around this time of year. We need to find a big flock of chickadees. Creepers seem to hang out with them. While the chickadees bounce all around the branches I seem to find the creepers on the larger more mature tree trunks; either low to mid-way up the trunk," trying to sound as expert and experienced as possible. 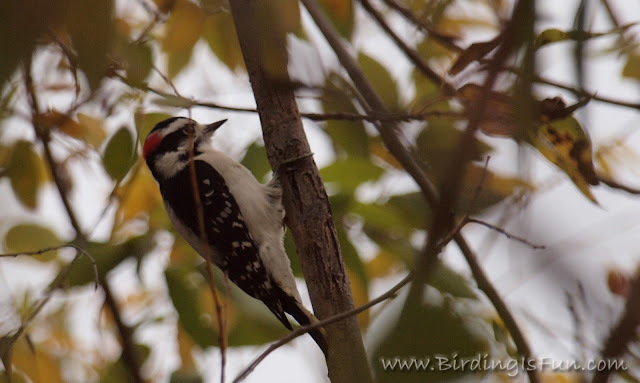 A couple of stops later, we had a nice patch of woods, a mixed flock of about a dozen Black-capped Chickadees, a half-dozen Ruby-crowend Kinglets, and a nice male and female pair of Downy Woodpeckers all hanging out together. "This is the place!" I announced. "Start watching the trunks." I thought I heard the high pitched sounds of a creeper, but I wasn't completly sure. We kept watching. We circled the little grove of trees and I thought I caught a glimpse of a creeper, but several birds flew out at once toward another tree. "I think I see one!" Jason exclaimed. 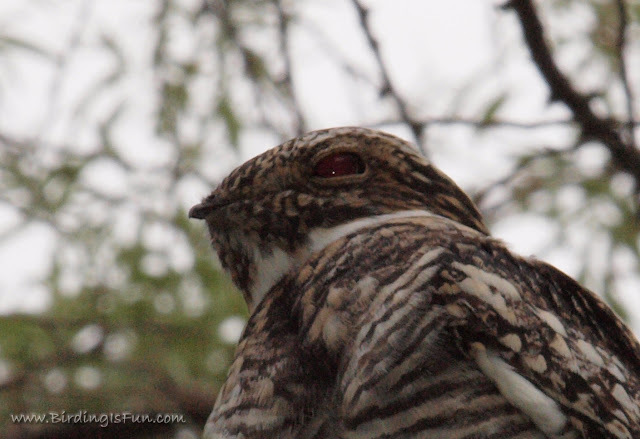 Sure enough, there zooming up the tree trunk was a Brown Creeper...a life bird for him. "Amazing how we found them just like you said," he commented to the utmost gratification of my pride in bird mentoring. Downy Woodpecker - male because of the red patch on the back of the head. 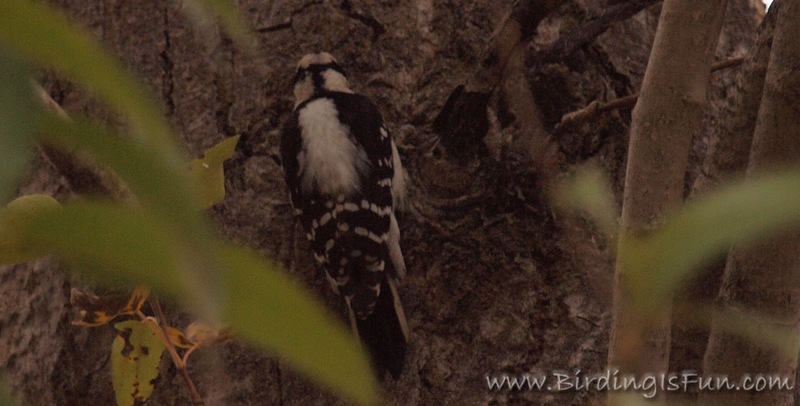 Downy Woodpecker - female because of the lack of red on the back of the head. Also cool because it shows the false-face on the back of the head. We also spooked a Wilson's Snipe and got good looks at in flight to which Jason replied "After all those years in scouts trying to catch one in a gunny-sack in the middle of the night, I finally see one in real life!" Sadly, we found two Tundra Swans recently shot and abandoned on the bank of one large pond. This was the area I could count on finding a pair of Tundra Swans every year in the late fall or winter. Jerks!!! 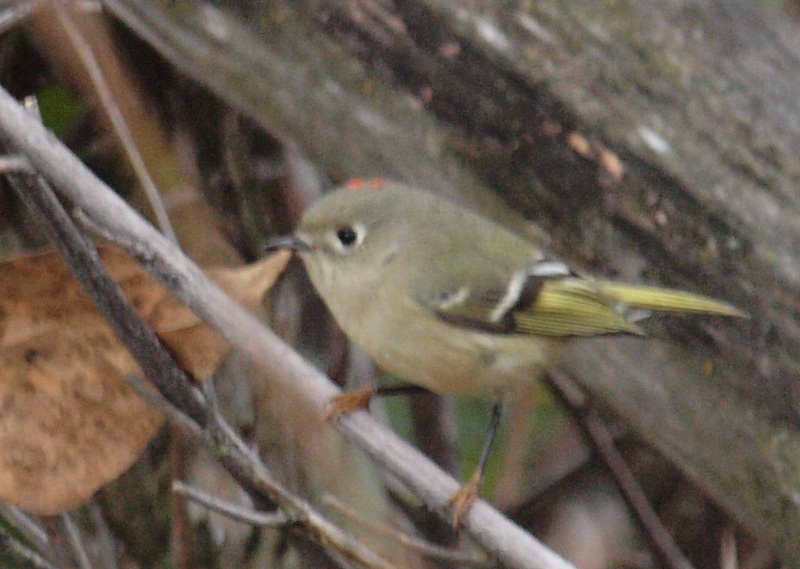 Ruby-crowned Kinglet - one of my first pictures of the day before I realized my settings were off! I broke the cardinal rule of checking your settings before you go out. ﻿We never did see a Hooded Merganser during the morning trip. Turns out that a couple more northern cold fronts need to happen before the hordes of wintering waterfowl return, but we did see some good birds like American Wigeons, Ring-necked Ducks, Gadwall, and Wood Ducks, along with loads of Mallards and Canada Geese. Helping Jason see and identify two life birds that morning was particularly fulfilling and fun. So, grab a friend and show them some new birds! One of the things that I am really enjoying about bird photography, is the chance to look at a bird closer and longer in a still image. The feather structure and color patterns are amazing, and more abundant than I imagined. 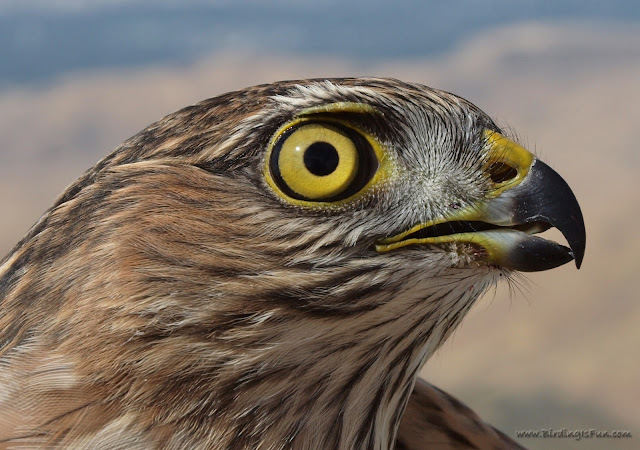 You can see bristles around the beak and other details that you otherwise miss while looking through binoculars. Bill shape, size and color, and eye shape and color are so impressive when enjoyed with a close-up and zoomed in photo. There are certain families of birds that seem to capture the hearts of all people, like owls, hummingbirds, and maybe even woodpeckers. Parrots are right up at the top of the list. Their amazing array of colors evokes the mystique of the tropics. Oh sure, you've seen a dozen varieties of parrots in the local big box pet store, but did you know that there are almost as many species of parrots as there are days in the year?! If you would like to know how and where to see all of them in the wild, "Parrots of the World " is the ideal field guide for you! Before I even cracked open the book, I asked myself, "What would I want to know from a field guide on Parrots?" My answers were simply: where in the world I would find them, and what kind of habitat would they be in. 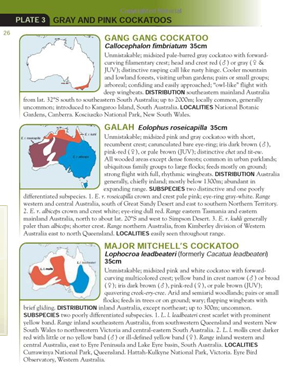 I am delighted to see that most species include very specific localities, even the name of the park, refuge, or sanctuary wherein one is mostly like to see them. 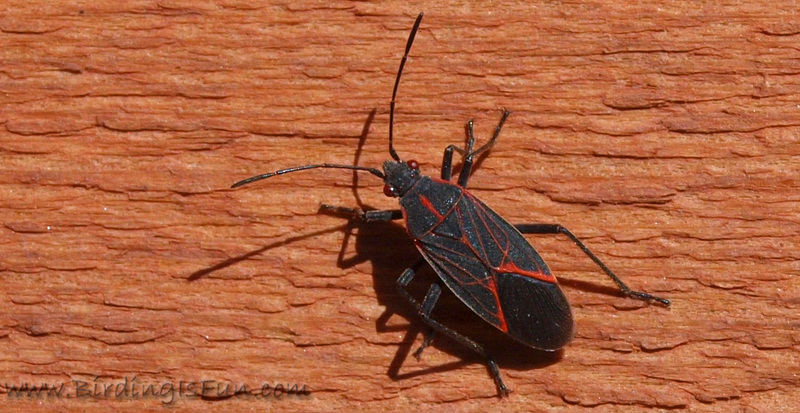 Every species has notes about habitat and even the probably altitude where they would reside is provided. The maps also detail ranges to the smallest pinpoint. Joseph Foreshaw certainly knows how to play to an audience of adventurers seeking to enjoy the beauty of parrots! 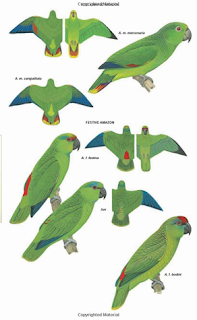 While I typically prefer taxonomic organization in field guides, given the specific focus on parrots, the geographic breakdown into three regions is perfect: Afro-Asian, Australasian, and Neotropical. These regions are color-coded for easy reference. While range maps for feral populations of parrots in North America are not shown, they are given mention in the text for such species. For example, the Peach-faced Lovebirds, native to western Africa, have thriving feral populations in Phoenix and Tucson, Arizona and this is covered on page 156. Frank Knight's illustrations are very nice and are skillfully done to assist us with identification. Many parrots are shown in flight from a top and bottom view showing both the male and females in many cases. Similar looking species are on the same or neighboring pages making it useful in comparing and contrasting. The introductory materials and indices are all quite good. Back in my missionary days in the provinces of Santa Fe and Entre Rios, Argentina, I remember seeing a few varieties of parrots. Unfortunately, I wasn't yet a birder and didn't make any effort to identify them. Images of them are still in my mind, though blurred by time. As soon as I received this review copy from Princeton University Press in the mail I began scanning through the pages trying to identify the parrots that impressed me some 12 to 14 years ago. Blue-crowned Conure, Monk Parakeet, Yellow-chevroned Parakeet, and even the Scaley-headed Parrot and Blue-fronted Amazon all seem like birds I recall seeing. According to this guide's distribution maps, the range in north-central Argentina fits! Then again, even Argentinos have pet parrots that often live un-caged in the yard. I hope to return to visit some dear friends some day, and to take "Parrots of the World" with me to get a positive identification! Published in the United States by Princeton University Press. List price is $29.95, but is available on Amazon for as little as $19.77. With all the consolidation of top birding blogs from around the globe, combined with my recent move from Idaho to the mid-Atlantic area of the United States, I've started wondering how I might rediscover my voice in the birding blogosphere or how I might positively contribute to the birding world without donating the thousands of dollars I don't have. 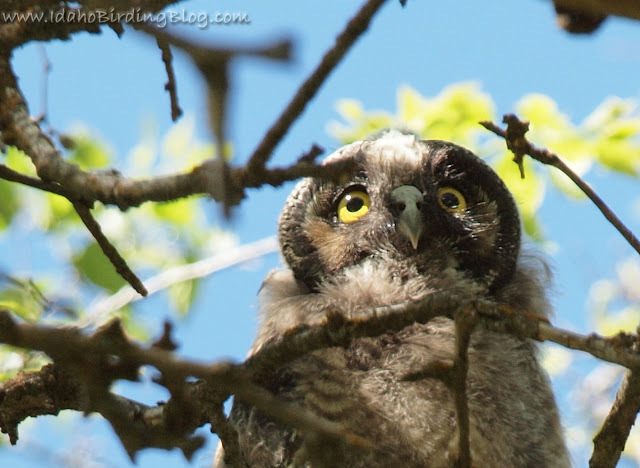 I changed my blog name from the "Idaho Birding Blog" to "Birding is Fun! ", because to me, that is the most important part about birding...having fun! I also wanted to delimit myself and the blog geographically. I love to share my enthusiasm for birding with one and all, and I enjoy helping others share their passion for birds and birding. I want to provide a couple platforms for birders both young and old, from novice to expert, to share more about themselves and where they like to go birding. 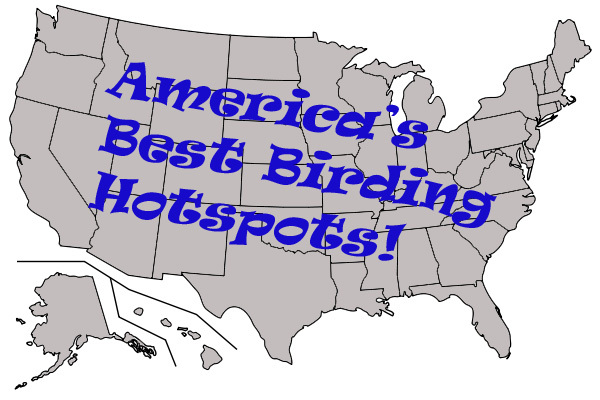 Former followers of the Idaho Birding Blog will recognize these two platforms which are now going global! So, launching today, I am inviting your participation. Many birding magazines do a great job highlighting birding hotspots, but often they are only for locations near higher populated areas and are already popular locations to see birds, written by experts. I want to open it up to common, everyday birders sharing their favorite small, yet publicly accessible, birding haunts. I will still welcome hotspots from big shot birding celebrities and world known birding hotspots. 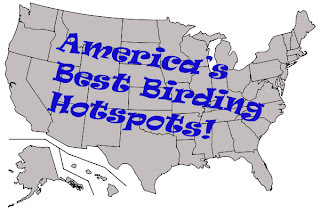 If you are interested in sharing with the world your favorite birding hotspot, please e-mail me and I will send you a simple one page template to get you started. I'm going to limit this to the United States for now and see how it goes. Open to birders all over the world, of every race, color, creed, skill level, age, and attitude, please share yourself! We want to know about your birding background, your funny birding stories, a couple of photos perhaps, what type of equipment you use, what your favorite field guide and birding books are, and whatever else I can extract out of you. If you are interested in participating, please e-mail me. I will send you instructions and a questionnaire. 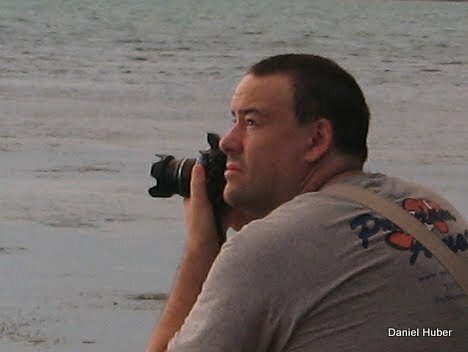 I will also take referrals and recommendations for future Birder Profiles. 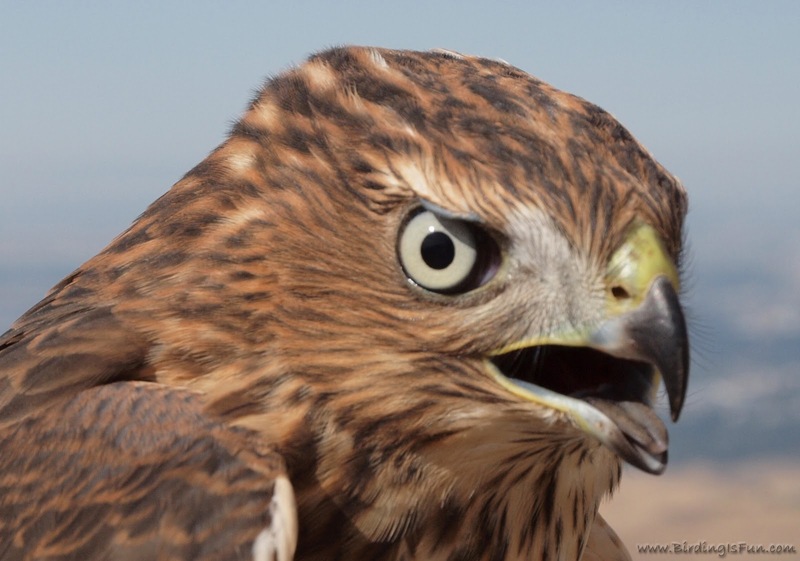 Please provide me with an e-mail address for the birder you would like to see featured. Again, all birders of all skill levels are welcome to participate in Birder Profiles. It is not a contest to see who is best, nor a place to boast and brag (okay, maybe a little), but rather a chance to share your enthusiasm for birding. 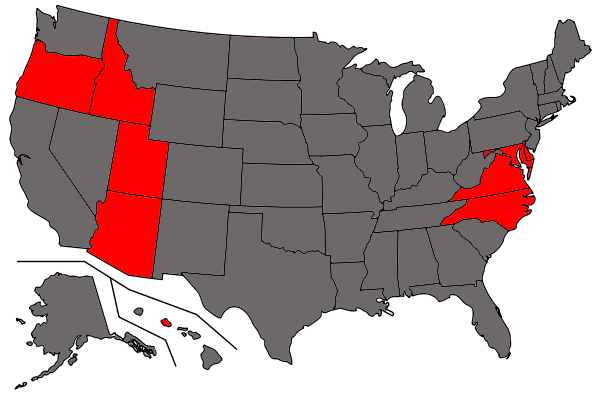 States where I've been birding. Being away from my family for 10 days at time would offer me more birding time and blogging time...so I thought. I was wrong. My new job has me on the road from sun up until sun down, so I miss prime birding time. I already can't wait for Spring and Summer when I get a little more day light before and after work hours! I haven't had my camera with me for the last month and I am only able to sneak in five minutes of birding here and there. You can imagine that I take every advantage that I can with rest stops and even at the homes I inspect. Just yesterday, while I waiting for one of my contractors to arrive, I stood on the deck of a home and pished away (pished, not pissed. - come on folks!). At least eight species darted in to see what the alarm was about. 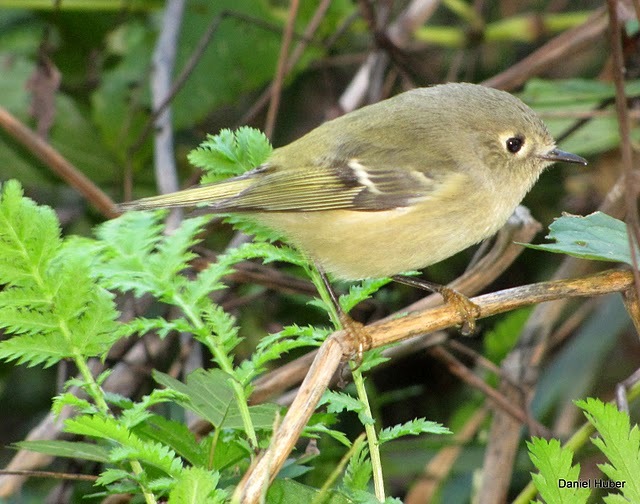 All but the Ruby-crowned Kinglets are birds that are new to me since coming east. In a way, I'm glad to be adding to my life list in a more slow and controlled fashion as I venture into the eastern United States for the first time as a birder. I am trying to savor each new bird. 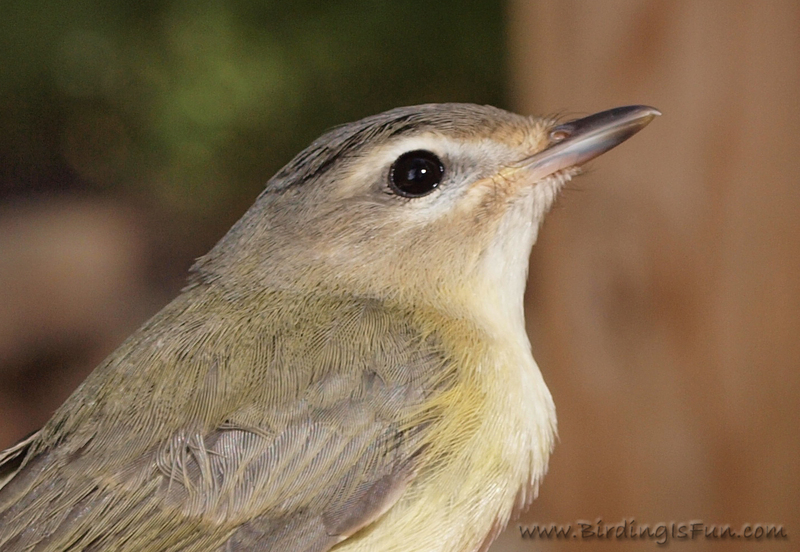 If it were spring and I had 20 new warblers all at once, I would probably die of sensory overload. Easing into eastern birding is not necessarily a bad thing, right? I have also come to recognize and enjoy the 'usuals' which appear to be the same species from Baltimore, MD to Charlotte, NC. 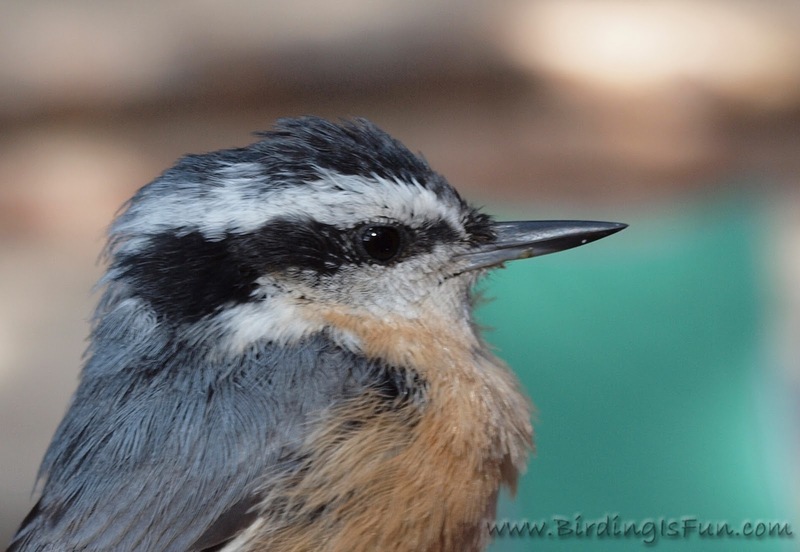 Tufted Titmouse, Northern Cardinal, Northern Mockingbird, Blue Jay, Carolina Wren, and Carolina Chickadee. None of those birds are even close to common in Idaho, so I am really enjoying learning there different sounds and antics. I guess the cardinals and mockingbirds were regular for me when I lived in Arizona. 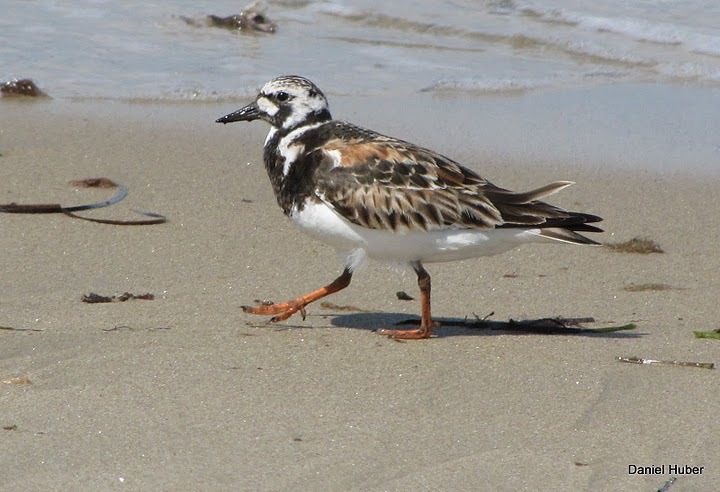 Sunday morning, at the beach in Norfolk, VA I saw my first Ruddy Turnstone and my second ever sighting of Sanderlings. 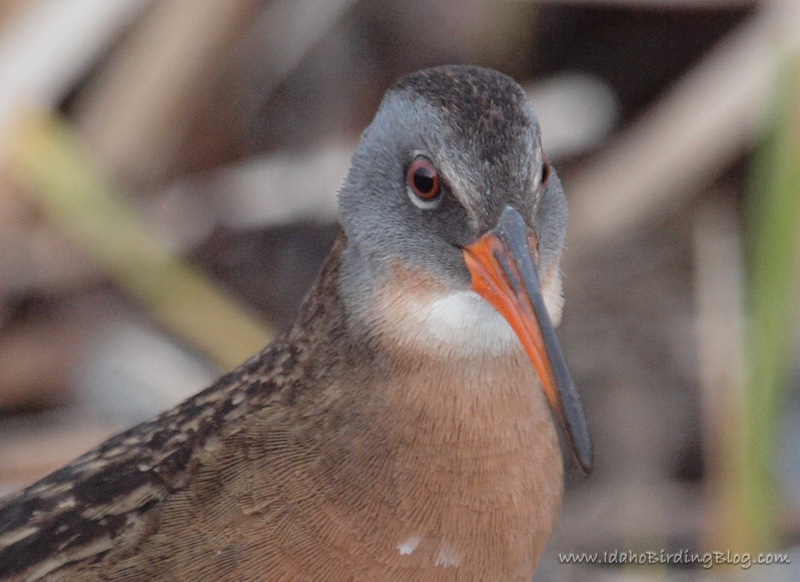 Awesome shorebirds! I even saw a Common Raven near Chatham, VA today, which eBird filters questioned as an unusual bird sighting...so that's kind of cool, right? 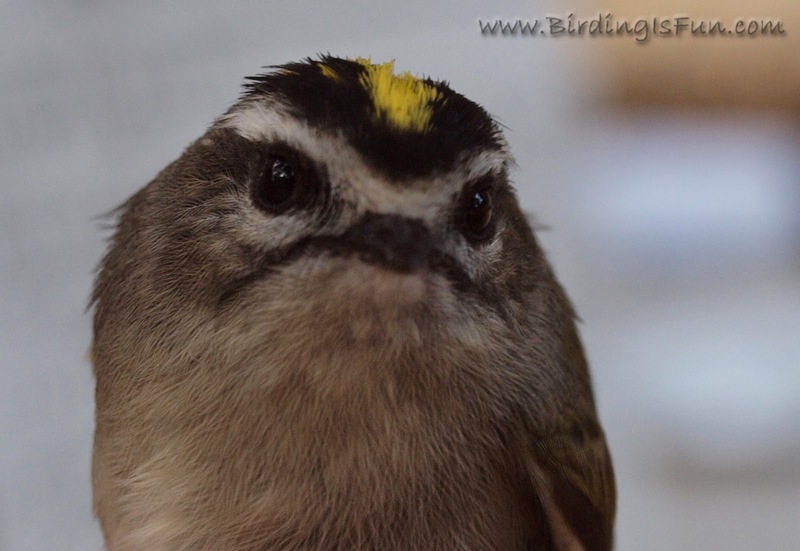 There were a handful of White-throated Sparrows around an abandoned home near my hotel tonight. The overgrown landscape has gone "wild" and was full of lots of birds. I had seen one W-T Sparrow previously at Lew Ulrey's home in Boise, which was a rare sighting for Idaho. What a cool looking sparrow! I can't say that European Starling are any more exciting in the east than in the west. My new birding friend John Shortis from England, currently in Horseshoe Bend, Idaho would be happy to send them back across the pond where they seem to be declining. State and county listing will also become a new sport for me as I travel from one mid-Atlantic state to another. I've sumbitted eBird checklists in 15 different counties already. My Virginia life list is at 43, Maryland at 36, North Carolina 17, and Delaware 8. This job has me covering a lot of ground, so the potential for seeing lots of birds is there. At some point, I plan to take my list of "wanted" birds and use eBird to find the best places to see them. Making that work with my nightly resting place is the hard part. I recently finished reading the adventure memoir, (or is it a novel?) by Rory Nugent. This book was a gift to me from a fellow birder who knows I like to read all kinds of stuff. While Nugent does mention the occasional bird, this is not really a birding book. This is the tale of his adventures in India while seaching for the likely extinct Pink-headed Duck. This book was not a page-turner, but it was interesting enough for me to read cover-to-cover. Insights into the subcultures of India, Nugent's patience with Indian bureacracy, and death-defying and cult encounters, were all fascinating. Even the intro to the book leads one to believe that some fiction has been added to the tale. There are photos of people and places mentioned, so it left me wondering what was real and what was imagined. I do recommend this book, but not highly. I was excited to have other birders join me for this year's Avimor Big Sit! John Shortis, Jim Lyons, Scott Tuthill, and Leigh. It was great to meet the Idaho Bird Blog tech contributor Jim Lyons in person! He even brought his iPad and iPhone so we could try out the birding apps he has been reviewing on this site. A Great Horned on a light pole was the first bird of the day. White-crowned Sparrows, Dark-eyed Juncos, Ruby-crowned Kinglets, and Black-capped Chickadees were abundant. We beat last year's total by one, so we had 21 species. This year it was not nearly as cold as it was last year which made for a much more pleasant morning. There were a half dozen other species we would have expected to easily see. 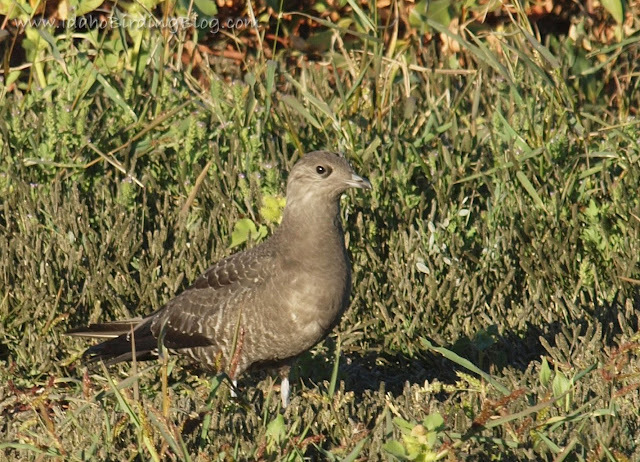 Can you believe we didn't see a single Mourning Dove?! John stayed around afterward and saw Yellow-rumped Warblers and even four Stellar's Jays, an Avimor first! A look at our 17' diameter circle of stones - my son Kyle on the left. I will be hosting The Big Sit! 2010 at Avimor on Saturday, October 9th from 6:00 a.m. until 11:00am. For more information about the international Big Sit! hosted by Bird Watcher's Digest and founded by the New Haven (CT) Bird Club, click on The Big Sit! logo-link to the left or click here for a video of the Birdchick and Bill of the Birds explaining The Big Sit! Folks are welcome to come and go as they please between the hours mentioned. 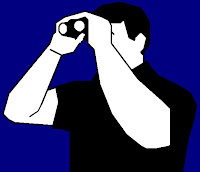 Bring binoculars, spotting scopes if you have them, and a lawn chair. Dress for weather and you might bring a snack. Hot chocolate will be provided. Enthusiastic people of all ages and birding skill levels are welcome to attend. Please RSVP by e-mail if you plan to attend, but drop-in guests are always welcome too. 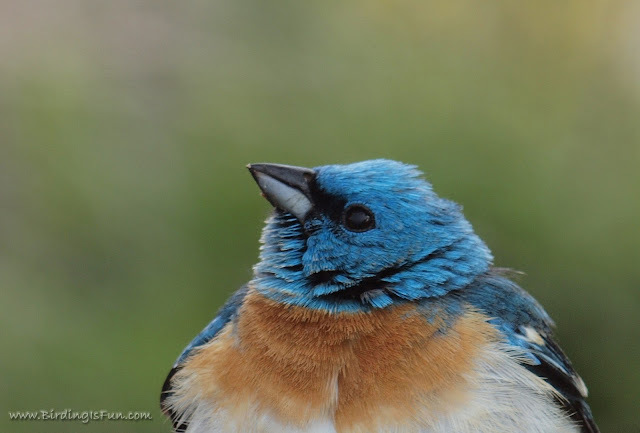 Feel free to stop on by to learn a little more about Idaho's autumn birds or simply to see how we are faring! Avimor is on Hwy 55, north of Eagle, Idaho, 2.7 miles north of Shadow Valley Golf Course. Upon entering the community on Avimor Drive, take your first left (north) and look for us near the entrance to Foothills Heritage Park. I've been on the road for the last week and for a few more days yet. Traveling in the mid-Atlantic and Carolinas has been fun as I have been adding a few life birds along the way. The weather hasn't been very conducive to birding and I have been working a lot, but I've still seen some awesome birds! I've added a life bird tracker to the right hand column of this blog so you can follow my rapdily increasing life list. If you have some favorite birding spots between Baltimore and Atlanta, please share them with me!